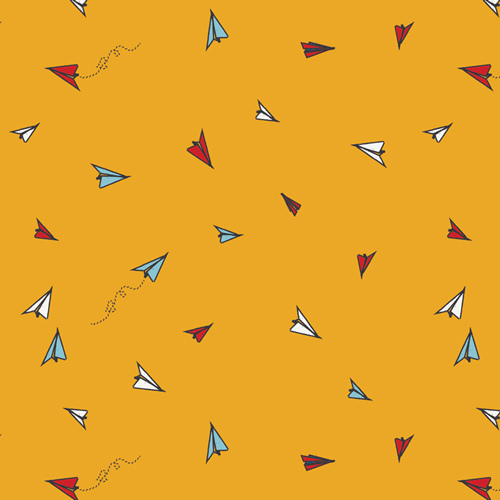 ART GALLERY FABRICS Style Number: SSU-10055 Fabric Name: Paper Plane Hopes Designed by: AGF Studio ABOUT THIS FABRIC PRODUCT INFORMATION NAME Paper Plane Hopes COLLECTION Sisu FABRIC TYPE Cotton COMPOSITION 100% PIMA Cotton WIDTH 44/45³ (114 cm) WEIGHT 125g/SQM - 4.4 oz/SQM CARE Machine wash warm, normal cycle. Use only non-chlorine bleach. Tumble dry medium.